Located in Marsaxlokk, Malta’s tranquil fishing village in the south-eastern part of the island, Port View Guest House is the ideal Malta Bed and Breakfast residence to choose. 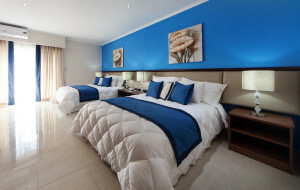 Our Guest House offers bed and breakfast (B&B) accommodation in twin, double and quadruple bedrooms. We want your holiday to be the best possible experience at our family-run Guest House in Malta. Customer satisfaction is our main priority, and at Port View you can rest assured of receiving the warm hospitality that the Maltese are so renowned for. We are eager to give you the holiday you deserve. Book now at our Malta Guesthouse. 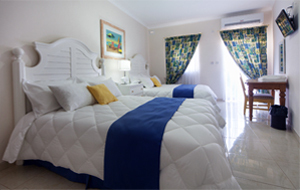 Our Quadruple Room with the spectacular sea view of the Marsaxlokk harbour is your ideal choice. Not only will you appreciate the beauty that Marsaxlokk has to offer, but you will also enjoy the best comfort that Port View has to offer. 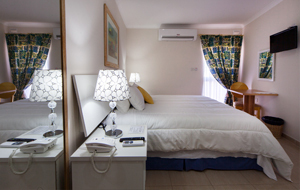 Our Standard Quadruple Room is also an ideal option if you are visiting Malta with your family and friends. This room does not have a sea view – however, you can still enjoy the sight of Marsaxlokk’s harbour from the guesthouse’s terrace which is open all day and night for your convenience. The sea view from this room’s balcony is certainly one of its most attractive features. Not only is your room up to standard with the latest comfort facilities, you also have a view which you can enjoy from the privacy of your room at any part of the day. 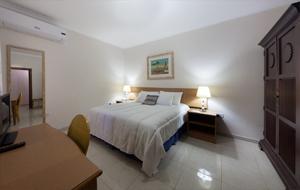 Port View’s standard double/twin room is ideal if you are visiting the island on a budget. This room does not have a sea view – however, you can still enjoy the sight of Marsaxlokk’s harbour from the guesthouse’s terrace which is open all day and night for your convenience. Customer satisfaction is our main priority, and when choosing this room you can rest assured that you will have the best comfort possible.